Arrow returns from hiatus and deals with Felicity’s association with helix and how that relates to her role on Team Arrow. Felicity heading down a darker path has been a really interesting arc for her this season. She is a good character but there is often a tendency to leave her in the background or concentrate on who she is in a relationship with. Things like that get frustrating after a while so it’s good to see her reclaim some agency. The angle taken is that she believes that she’s doing whatever it takes to get the job done. She uses Oliver and Lyla as justification for her actions because she stood by and let them make questionable choices in order to protect people. felicity has been largely removed from making those choices because people make them for her and she focuses on her part of the entire plan. This is different because she is taking an active role and assuming a measure of responsibility of the questionable actions she’s involved in. This makes for really compelling storytelling in theory but this arc has been more focused on what Felicity does rather than why she does it. Leaving that detail out is pretty major and it really stands out when an episode focuses on Felicity. The groundwork hasn’t been done on establishing what her underlying motivations are so it doesn’t quite come together in the way it really needs to. It has been a long time since Adrian engineered the scenario that caused Oliver to accidentally kill Billy and it has barely been brought up since. Felicity certainly hasn’t mentioned it so the potential for that to inform her actions hasn’t really been capitalised on. It also isn’t strong enough on its own because her relationship with Billy was never well developed. another potential motivation is that Helix has reawakened Felicity’s long buried hacktivist streak. She stopped doing this because she was afraid of what she was turning into. We saw this in “The Secret Origin of Felicity Smoak” and it’s something she has been struggling with for a while. It could be that Helix nurture this side of her and give her a sense of purpose that might be lacking for her in Team Arrow. Either way there isn’t a lot of time devoted to exploring Felicity’s underlying motivations and it makes the whole thing a little more difficult to swallow. 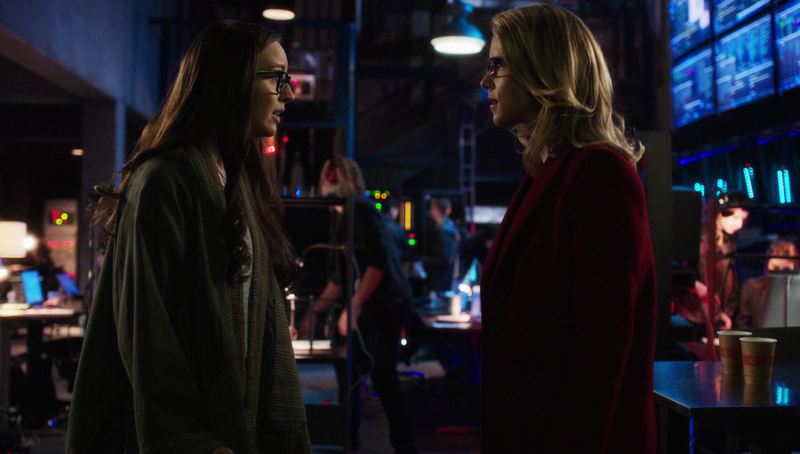 Despite this, Felicity’s decision to help Helix free their creator is something that she is clearly committed to despite some earlier reservations. This is a point where she needs Oliver, Diggle and the rest of the team to support her and trust her not to take things too far. Unfortunately for her that support never comes because Oliver and Diggle don’t approve of what she has gotten herself into. She has supported Oliver’s questionable decisions on countless occasions and it clearly hurts that the same courtesy isn’t afforded to her. Sadly Felicity’s support for Helix isn’t enough for them. Up until this point she has been able to juggle her commitment to both them and Team Arrow but it comes to a head in this episode. 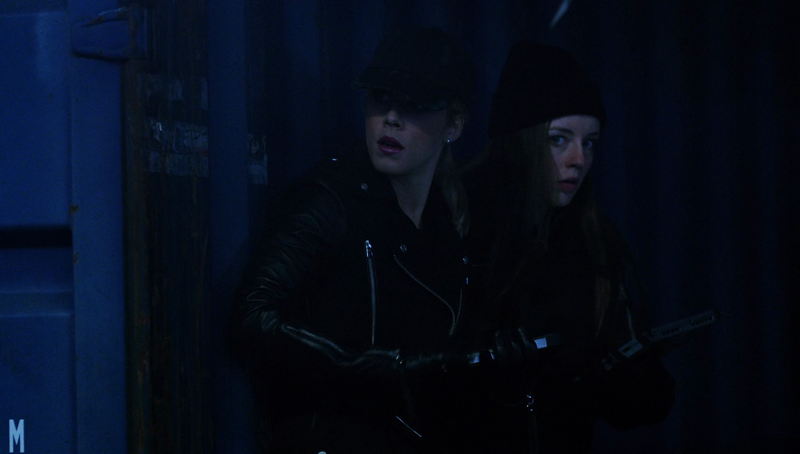 Team Arrow act against Helix and they can’t tolerate that any more. Alena tells Felicity that she is a liability to their cause because of her association with Team Arrow and Helix cuts themselves off from her. There are no hard feelings as Alena still enjoyed being able to work with Felicity but for the sake of their organisation it’s a relationship that can’t continue. How Felicity will ultimately react to this is anyone’s guess but I’d bet she won’t take it well. Using Helix as something of a villain for the purposes of this episode feels like a logical progression but what makes it betters is that there is complexity to it. They are only villains because Team Arrow are currently aligned with A.R.G.U.S. but we know fine well that they aren’t normally associated with virtuous actions. We see that in this very episode through their capture of the founder of Helix and locking him up in an illegal black site. It’s definitely a breach of his legal and human rights so it would be easy to see the point of view of Helix in this scenario but Team Arrow currently need the resources of A.R.G.U.S. so they are a means to an end at this point. Whether you agree with this or not at least Oliver is standing by his decisions during an impossible situation. It’s made more complex by showing Alena being unsympathetic about the death she accidentally caused. 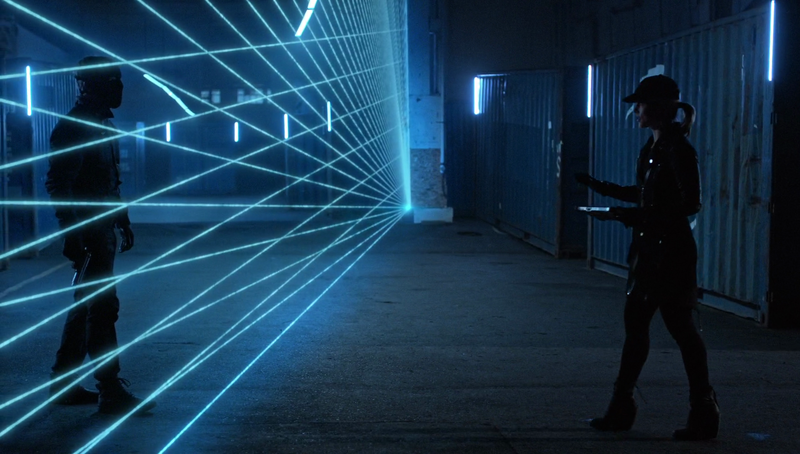 The black site creates a sore point between Diggle and Lyla. He accuses her of becoming more like Amanda Waller and Lyla is starting to see her point of view now that she has to do her job. This friction between Diggle and Lyla reminds them of the reason they split up in the first place and it feels like there is an uncomfortable road ahead of them. This was definitely good character drama and really well acted but the problem here is that it almost feels like it comes from nowhere. Diggle also seems to forget that he kept his brother locked up in his own black site last season so his righteous judgement of Lyla being involved in the same seems somewhat out of place. It would be different if Diggle had been noticing Lyla’s viewpoint changing prior to this but this is the first time it has been brought up so the whole plot feels a bit rushed. 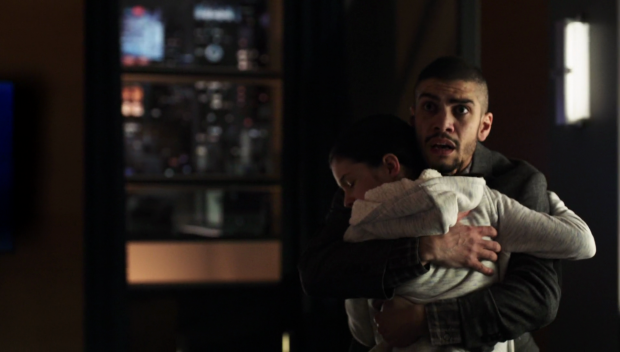 Rene gets some major screen time as the attempt to get his daughter back comes up. He has been avoiding the issue since Curtis offered to help him get her back and definitely doesn’t want to talk about it. Quentin is the one to shake him back into action which gives us more of the excellent dynamic between the two characters. As a father who has lost both of his daughters more times than he has daughters he doesn’t want Rene to look back on this situation and regret it. Family is very important to him and he takes it upon himself to help Rene realise that. It involves forcing the issue to the point that his daughter is put in front of him giving him no choice but to face her and answer for his decision to give her up. This plot is really well handled and Rick Gonzales delivers an excellent performance in the scene where Rene reunites with his daughter. It’s believable that this would shock him into action and it continues to show Rene’s potential to be a well developed character on this show. I suspect that most of this plot will happen off screen because custody hearings don’t always make for the most compelling viewing but the pay off will be satisfying when it arrives based on this episode. A solid episode that is entertaining to watch but highlights some of the issues with Felicity’s characterisation this season. We have seen plenty of her descending down the darker path offered to her by Helix but her motivation is lacking. There are a lot of potential motivations but none of it has been specifically addressed which makes the whole thing far less effective. I did like seeing her appealing for Oliver’s trust and him being unable to give it to her despite her supporting him unconditionally in his questionable decisions. It’s well played conflict and muddies the situation. Using Helix as the villain of the episode works because of the complexity of the situation. They are only the villain because they are opposed to A.R.G.U.S. and Team Arrow are currently aligned with A.R.G.U.S. so Helix become the villain by default. There’s a strong argument for Helix having stronger morality since they want to free their founder from a black site but the fact that Alena doesn’t feel all that guilty about accidentally killing someone makes that less cut and dry too. The friction caused between Diggle and Lyla by the existence of the black site and Lyla generally becoming more like Amanda Waller is well played but doesn’t quite land as there has been no prior development of this so it feels like it comes from nowhere. I really liked the subplot involving Rene reuniting with his daughter as it was well acted and seems to be heading somewhere satisfying that will make Rene a more rounded character.